Own a school or gym? Get great wholesale pricing on this item! Create an account or Login to shop. Not eligible for a Zengu wholesale account? 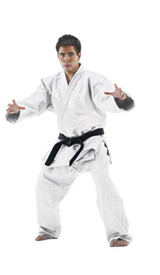 93 Brand Children's BJJ Rank Belts & other great retail gear is available. Buy Now! 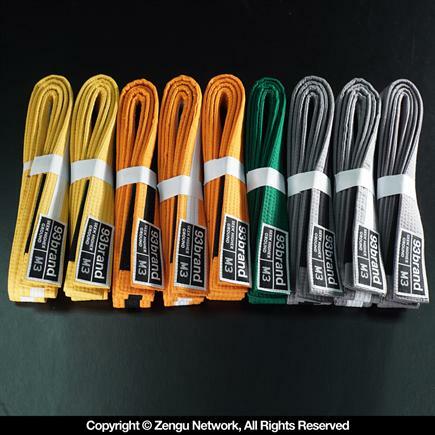 Classic rank belts for BJJ kids! Designed to meet international BJJ training and competition guidelines. 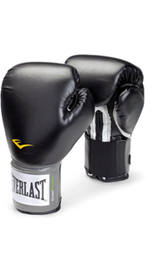 Built to withstand the demands of day to day training for the most dedicated students. 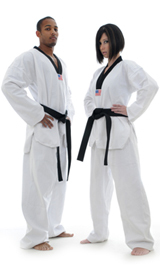 Includes cotton exterior and solid black rank bar for stripe grading. Thanks for alerting us about this image. Let us know why you found it offensive. Q. Are the kids size belts larger size than M4 or K4? A. Are the kids size belts larger size than M4 or K4? Comment. Are the kids size belts larger size than M4 or K4? Grey Belts - Kids. Any larger size than? Thanks for alerting us about this question. Let us know why you found it offensive. Q. I've been in need of c4, or m4 size kids belts in a variety of colors. It seems like you guys have been out of stock for months. . . .
A. I've been in need of c4, or m4 size kids belts in a variety of colors. It seems like you guys have been out of stock for months. . . . Comment. I've been in need of c4, or m4 size kids belts in a variety of colors. It seems like you guys have been out of stock for months. . . . I've been in need of c4, or m4 size kids belts in a variety of colors. It seems like you guys have been out of stock for months. Have I just been looking at the wrong time? When will you get more? Where can I go in the meantime for these belts? Q. Are these belts not being made any longer? Some colors and sizes have been out of stock for months. A. Are these belts not being made any longer? Some colors and sizes have been out of stock for months. Comment. Are these belts not being made any longer? Some colors and sizes have been out of stock for months. Q. Is there a reason that there are some ranks absent? Namely, a yellow/black, green/white & green/black? Thanks. A. Is there a reason that there are some ranks absent? Namely, a yellow/black, green/white & green/black? Thanks. Comment. Is there a reason that there are some ranks absent? Namely, a yellow/black, green/white & green/black? Thanks. Q. Hi! This item is "not currently available for purchase." Did the big 3/20 restock mentioned in the answer below happen and they sold out already? Wow. Really shows . . .
A. Hi! This item is "not currently available for purchase." Did the big 3/20 restock mentioned in the answer below happen and they sold out already? Wow. Really shows . . . Comment. Hi! This item is "not currently available for purchase." Did the big 3/20 restock mentioned in the answer below happen and they sold out already? Wow. Really shows . . .
Is there a reason that there are some ranks absent? Namely, a yellow/black, green/white & green/black? Q. Hi Kelly. We do not have another restock in the near future for this item. A. Hi Kelly. We do not have another restock in the near future for this item. Comment. Hi Kelly. We do not have another restock in the near future for this item. Q. Hi Frankie. We do not have another restock planned for this particular item. A. Hi Frankie. We do not have another restock planned for this particular item. Comment. Hi Frankie. We do not have another restock planned for this particular item. Q. Yes unfortunately we haven't received a size chart from tatami yet that includes the a2h. When we do I will get it posted up. A. Yes unfortunately we haven't received a size chart from tatami yet that includes the a2h. When we do I will get it posted up. Comment. Yes unfortunately we haven't received a size chart from tatami yet that includes the a2h. When we do I will get it posted up. Yes, if you see a rank missing it is because we are currently out of stock of that item. Thanks for alerting us about this answer. Let us know why you found it offensive. Q. 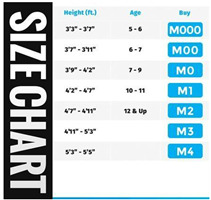 Where do I find belt size chart? A. Where do I find belt size chart? Comment. Where do I find belt size chart? Hi Troy. 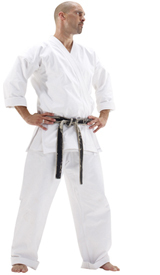 We don't have a sizing chart for these belts and generally recommend you match the belt number with the gi size number. Q. I meant to write an updated size chart. The size chart says M1 is 82 inches and M2 is 82.5 inches. I am guessing one of those is . . .
A. I meant to write an updated size chart. The size chart says M1 is 82 inches and M2 is 82.5 inches. I am guessing one of those is . . . Comment. I meant to write an updated size chart. The size chart says M1 is 82 inches and M2 is 82.5 inches. I am guessing one of those is . . .
Q. Is there a size chart for this item? A. Is there a size chart for this item? Comment. Is there a size chart for this item? Q. There is no size chart attached. Thank you! A. 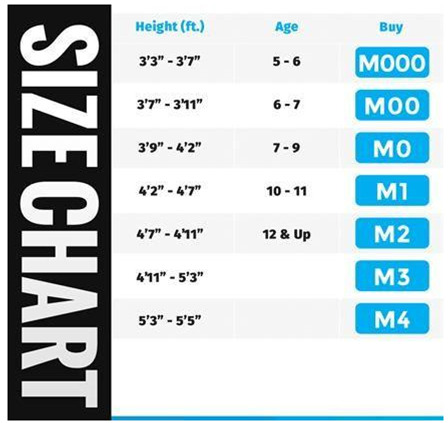 There is no size chart attached. Thank you! Comment. There is no size chart attached. Thank you! I meant to write an updated size chart. The size chart says M1 is 82 inches and M2 is 82.5 inches. I am guessing one of those is mislabeled? Any Grey/Black stripe M2s coming in soon? Thanks. Need to order this now. Do you have any in M2?